Krish has over three decades of rich experience in varied fields such as finance, marketing, retail & general management. In the field of retail, he has gained significant global experience over the last sixteen years in various countries such as Hong Kong, Philippines, Taiwan, Thailand, Japan and USA in addition to India. He joined Walmart International as a Senior Vice President in 2012. Prior to this, during his over six years' tenure with A.S. Watson Group, a leading international health, beauty and lifestyle retailer, Krish handled the business in Philippines, Taiwan and Thailand as Country Head & Managing Director. Concurrently, for over 3 years, he served as Regional Director of Store Design and Development for Asia and Eastern Europe. Prior to that, Krish was Managing Director and CEO of Piramyd Retail Limited. 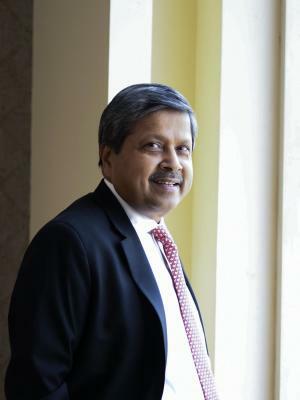 During his 7.5 years tenure, Krish was also CEO of Retail Business of Piramal Enterprises comprising of Shopping Malls, Department Stores, Supermarkets and Entertainment Centres, during this period, he was also a member of several industry associations, notable among them being the role of Founding Member of Retailers Association of India. Krish is Chairperson of National Executive Board of AMCHAM India (American Chamber of Commerce in India), Member of Advisory Council of USIBC, Chairperson, India Food Forum, Chairperson of FICCI Retail & Internal Trade Committee, Member of FICCI National Executive Committee, Member of CII committee on MNCs, Member of the National advisory Council of RAI (Retailers Association of India), Member of National Advisory Council of Enactus India and Advisory Council Member of Smile Train India. Krish has a Bachelor’s of Commerce (Hons.) degree from the University of Mumbai, India and is an Associate member of the Institute of Chartered Accountants of India.